This week I take you to the magnificent Kolkata Food Festival, currently underway at the Dilli 32 restaurant of The Leela Ambience Delhi Convention Hotel. Patrons like myself visit the hotel time and again just to get a touch of class and grandeur, and festivals like these provide all the more reason to be there. The Kolkata Food Festival is the brainchild of Chef de Cuisine Ashwani Kumar Singh who has been instrumental in recreating the essence of exquisite Bengali cuisine without compromising on its authenticity. To bring out the original flavors of each dish, Chef Ashwani traveled exclusively to Kolkata to gather the hidden secrets that lie in the lanes of the city famous for its indulgent variety of the Bengali cuisine. As part of the Grand Trunk Culinary Journey*, Chef Ashwani has earlier touched upon the local cuisines of Amritsar, Old Delhi, and Varanasi, in great detail. The journey has now reached its final leg with the spotlight on the city of joy, Kolkata. The festival explores the plethora of diverse cuisines that exist in the culture capital of India. 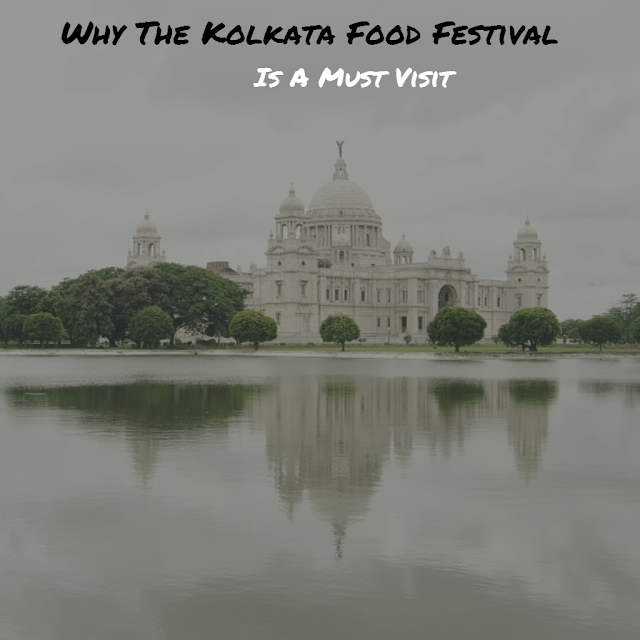 So what can you truly expect at the Kolkata Food Festival? The outdoor patio, Frangipani, is decked up to resemble a mini Kolkata. A delectable combination of vegetarian, non-vegetarian, and street food options are available for you to savor at the live counters, including authentic Bengali delicacies made with veggies, fish, mutton, chicken, and rice - garnished in harmony with the flavors of the Awadhi and Mughlai cuisines. Every Bengali takes pride in these delicacies that enrich the street food in Kolkata! Chef Ashwani has immersed the modern-day cuisine in the classic flavors of Kolkata, after traversing the alleys of Kolkata and inhaling the smoky aromas escaping from the open pans and tandoors of the 'heritage' food streets; those serving Bengalis for centuries, embedded in their rich culture and traditional food. Tantalize your taste buds with the fresh aroma and textures of the Kolkata Biryani, the richness of Kosha Mangsho, simmering Bhetki Paturi, and amazing Chittal Peti. The delicacies of Kolkata possess infinite variations and possibilities. Such treasures are seldom available in any one particular region. To add more exuberance to your experience, Bengali traditional cuisines like Golda Chingi and Malai curry have been added. Come and enjoy specially curated dishes by the chef such as Parshe Maccher Jhol, Kosha Mutton, Puchka and Jhal Muri, Luchi, Sita Bhog, Langcha, Sondesh, and more. These delicacies harness life in the Howrah city and are considered amongst the best in the country. The food festival not only aims at recreating the culinary delights from the city of Kolkata but also aims at bringing together its culture and music in order to create an unforgettable experience for guests. To amplify this experience, the food festival is also playing host to exclusive storytelling sessions on weekends. Don't miss this destination point in your journey as a food connoisseur. Be part of the Kolkata Food Festival served hot on a road trip. Special Entertainment During Weekends: On Fridays and Saturdays, enjoy folk music by renowned and award winner Bengali singer Ms. Rini Mukherjee. Story-telling sessions on Sundays.